Stairs to the house. 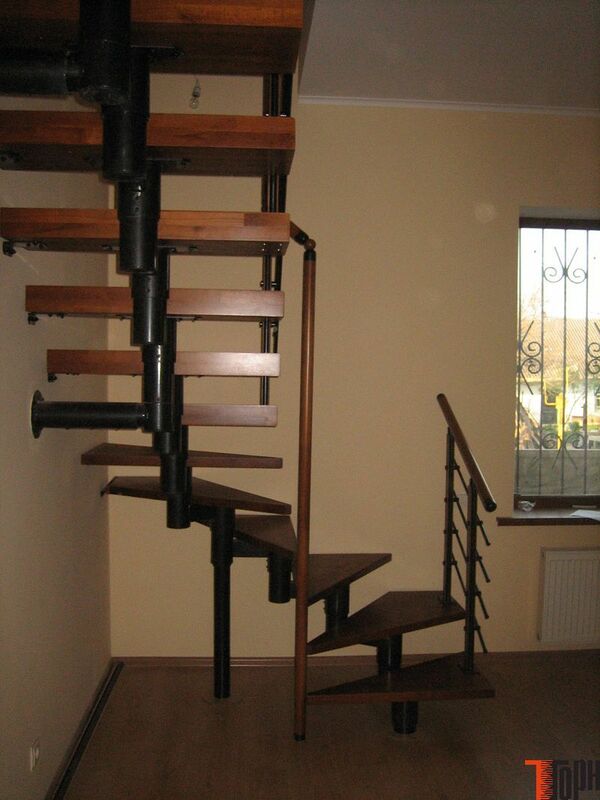 Modular stairs in Kiev. 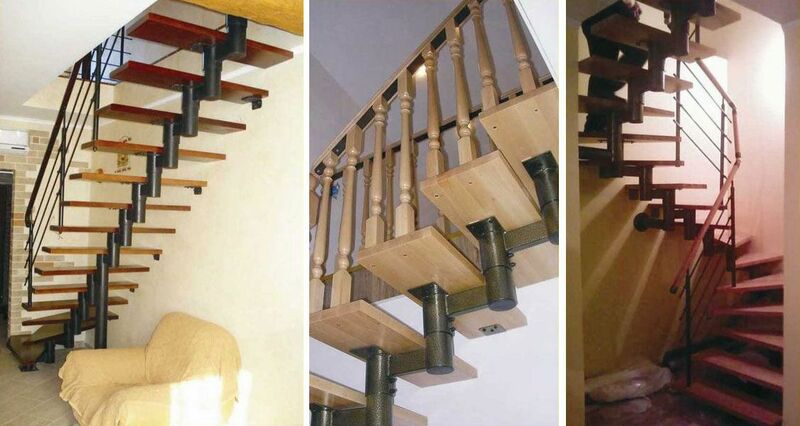 Our company specializes in manufacture of stairs for homes, villas, cottages, two-level apartments. 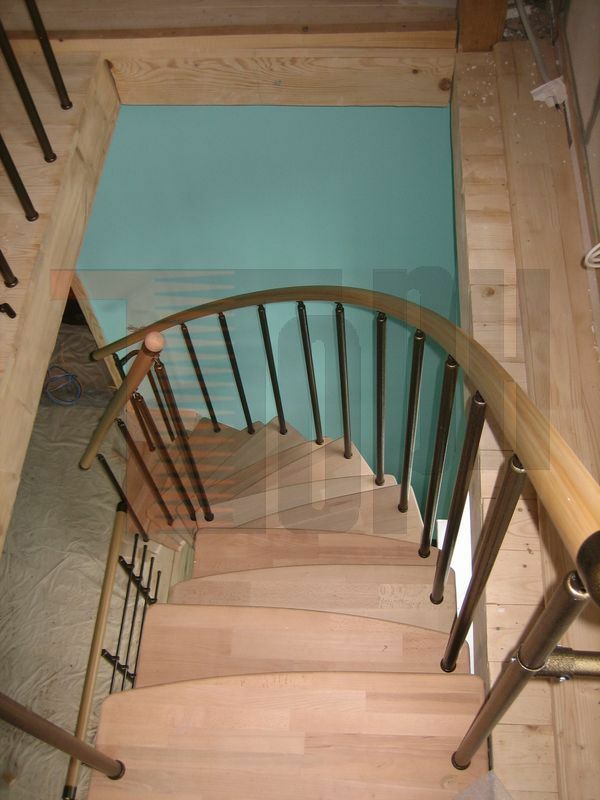 Our products are mezzanine, draft or modular stairs. They can be made, on request, both in classic and modern style. 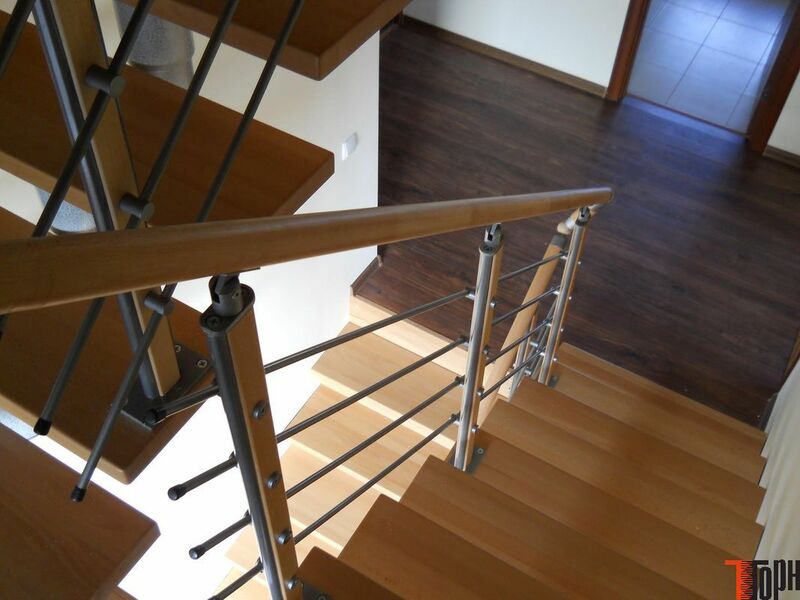 We offer you to purchase complete products, such as modular stairs (in Kiev and delivery to any city in Ukraine) and sew up any metal or concrete structure. 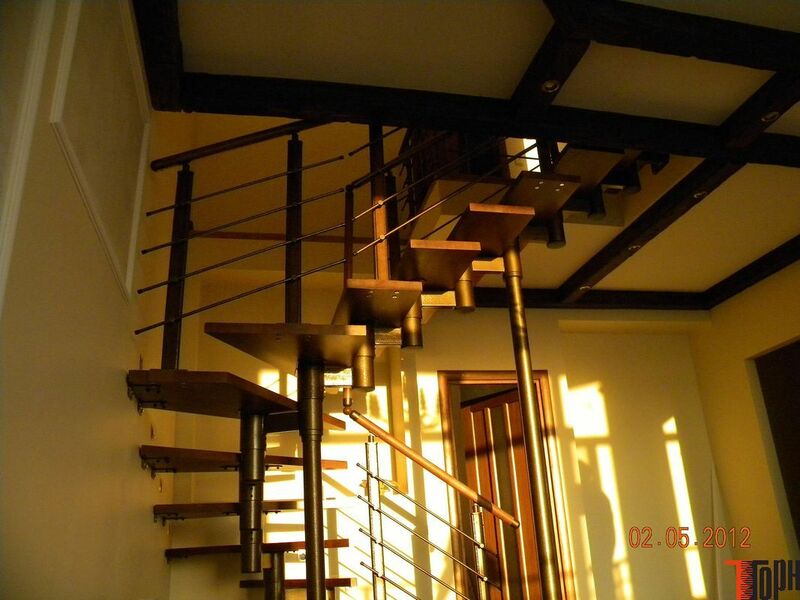 Modular stairs is a complete solution for both private homes, villas, cottages, and a two-level apartment or office. 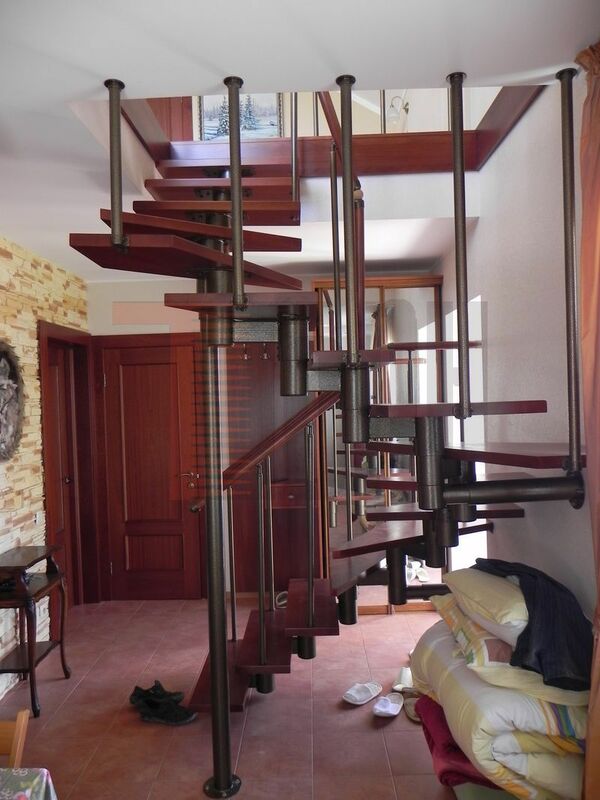 Due the use of modules, modular stairs can be straight, spiral, with one or more winder steps, perform a smooth transition from the straight to the screw, change directions, and more. This series differs from the other due to its comfort. 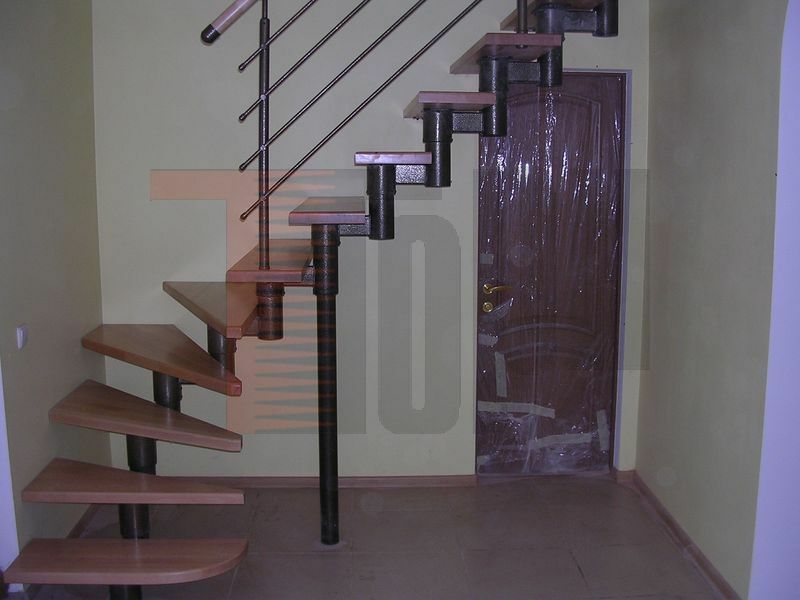 The main purpose of this series of stairs - two-level apartments and private homes of all sizes. Ladder is designed for frequent daily use, and the depth of steps (treads) 300 mm, height adjustment steps from 165 mm center distance 270 mm modules make stairs more comfortable. Step length can vary from 800 to 1200 mm. 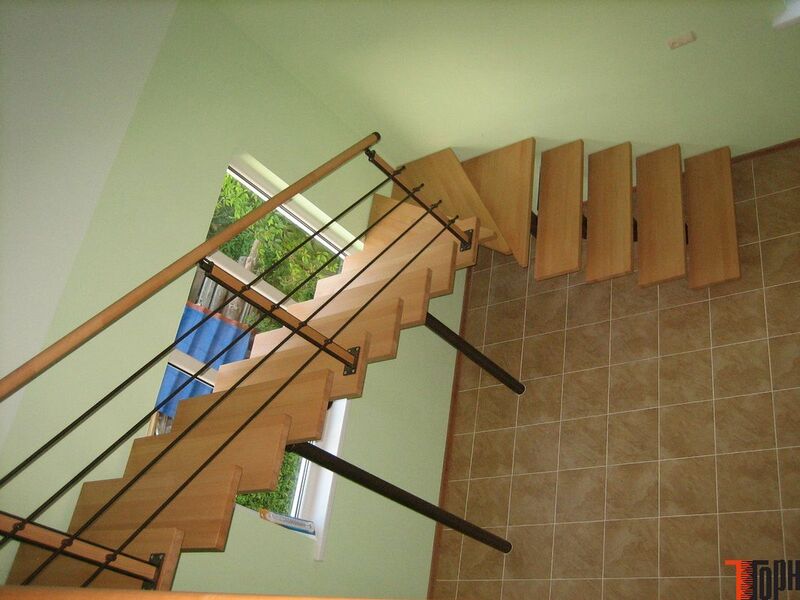 Is the most common range of modular stairs. 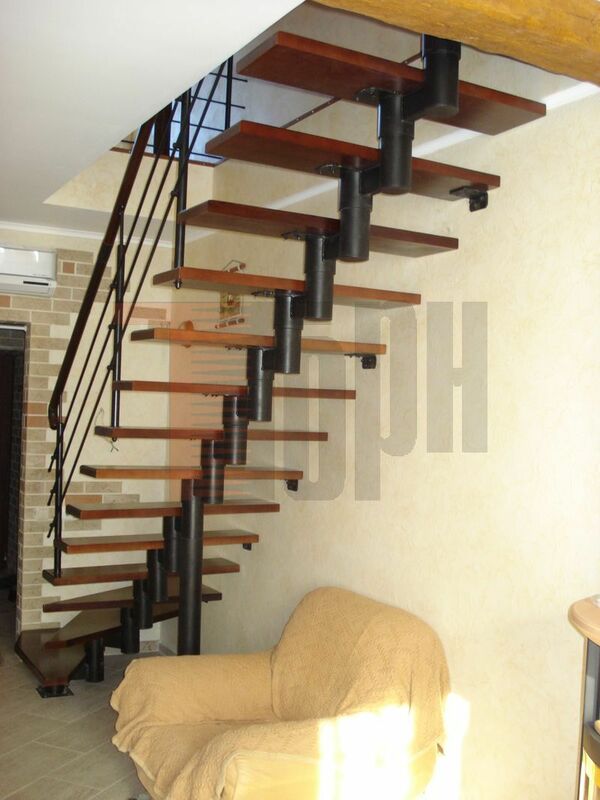 The main purpose of this series of steps - two-level apartments and private homes. Ladder is designed for frequent daily use, and the depth of steps (treads) 260 mm center distance 230 mm modules make stairs more comfortable. Height adjustment: 180 - 240 mm. Stage length from 600 to 1200 mm. The minimum size of mine - 2300 mm. 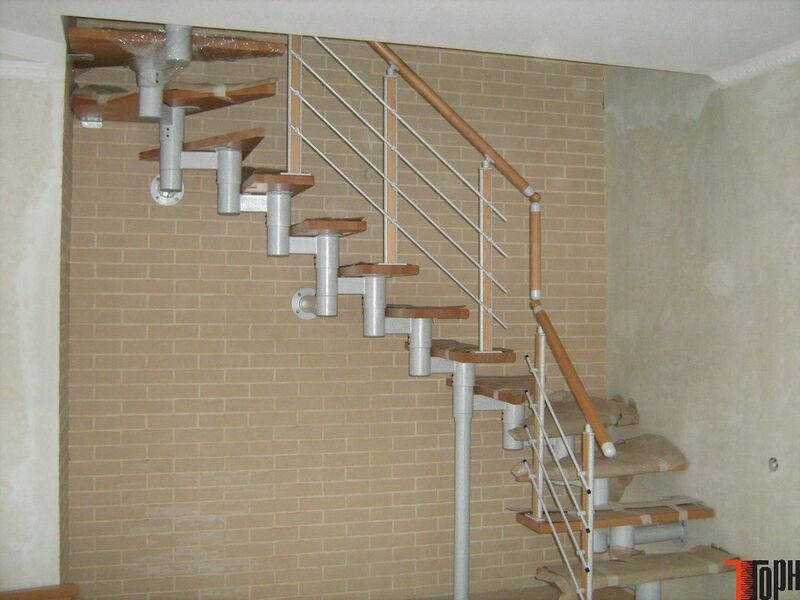 Modular stairs of the series are used in places where it is inconvenient or impossible to put another ladder due to the steep rise and / or the small size of the mine. The purpose of this series is universal - from the stairs in the two-level apartment, private house, finishing attic and attic stairs. 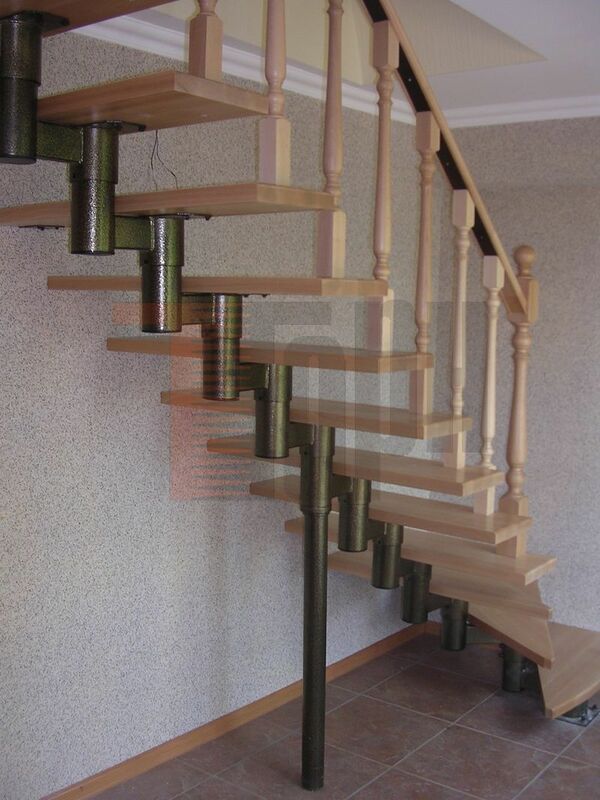 Stair tread with a depth of 220 mm and center distance 190 mm modules make universal ladder - a compact and convenient. Height adjustment: 180 - 240 mm. Stage length 600 - 800 mm. The minimum size of mine: 1900 mm. A true leader of compactness. 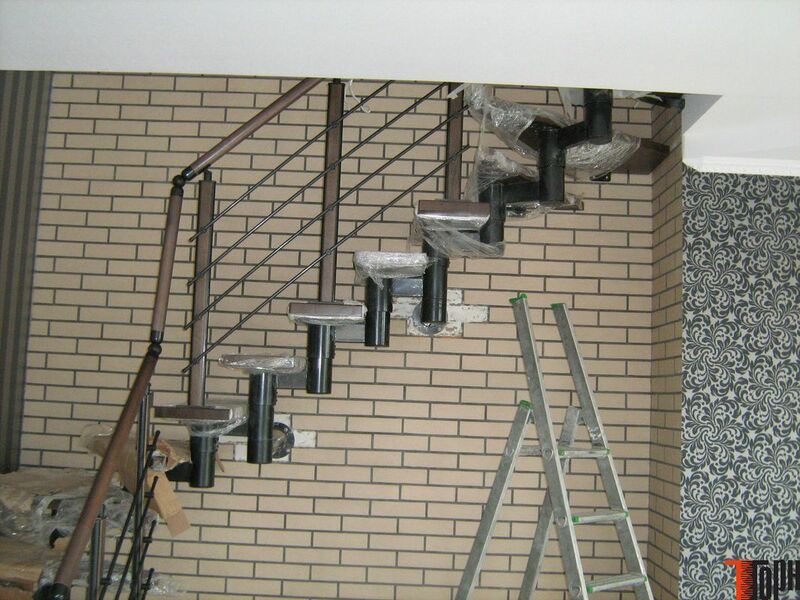 Modular stairs of this series are used where it is almost impossible to put another ladder due to the steep rise and / or the small size of the mine. 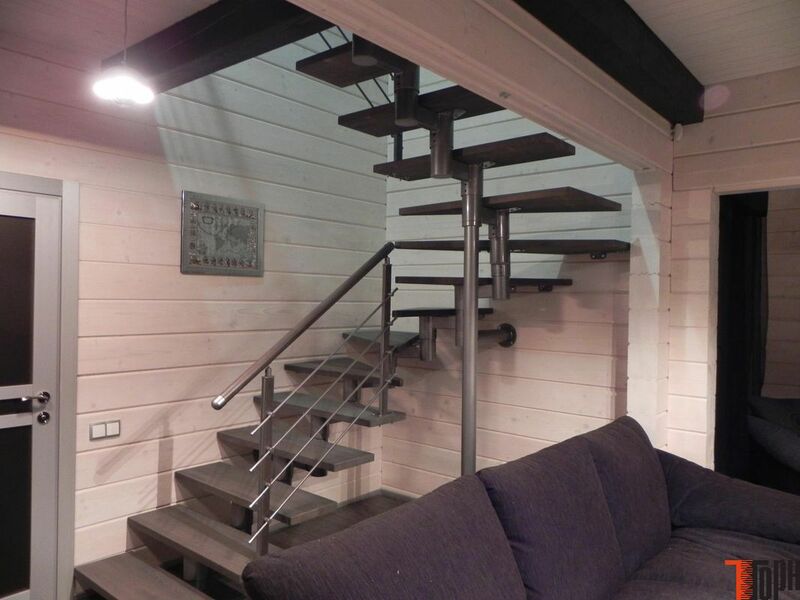 The main purpose of this series - the attic, attic stairway, which are rarely used, also but necessary. Step "goose-step" with the tread depth of 260 mm on one foot and the center distance of 150 mm modules do stairs as compact as possible. Height adjustment: 180 - 240 mm. Stage length 600 - 850 mm. The minimum size of mine: 1500 mm. 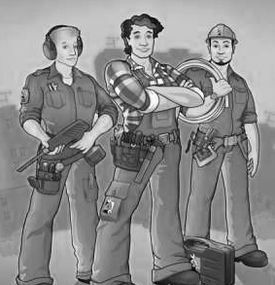 • Ability to plan almost any ladder to any height (with arbitrary geometry of the descent, and even around obstacles). • Ability to select the color scheme for metal frame (antique gold, antique silver, graphite black, gray metallic, etc. 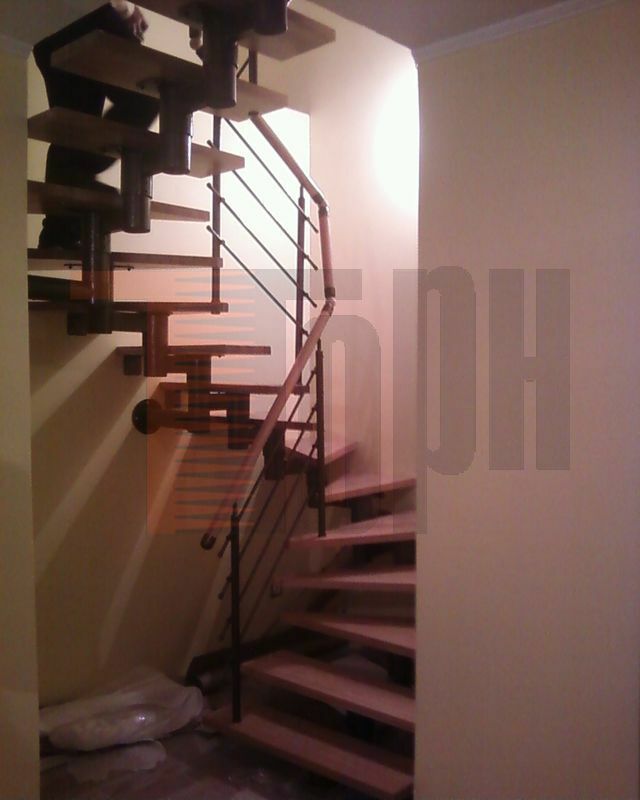 ), material levels (beech, oak) and their color (tinted), fencing options. 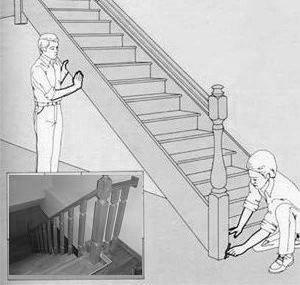 • Ability to construct and set up stairs (two people with a minimal set of tools and information on the installation of the stairs). • The design is similar to the modern European model. • Prices of components make the product really affordable (modules in color from UAH 285). Payment for ladder is required only after delivery. 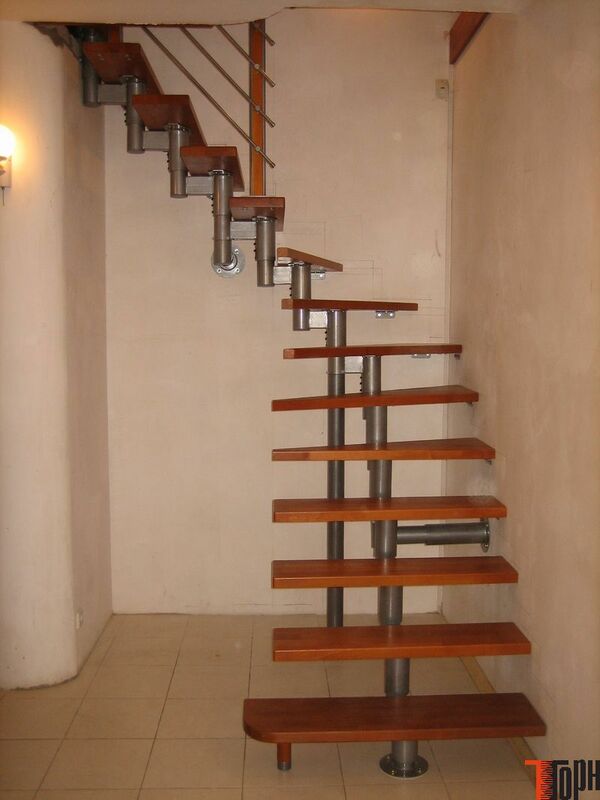 Detailed budgeting of stairs we offer for free *. * The second and third rebudgeting (if any) due to clients wish to change configuration steps or class module - charges (from 50 to 200 UAH, depending on the complexity and time of manager’s business hours). If you need a preliminary calculation or consultation (phone mode) – request sales department. If you have the necessary information for the calculation - please send your request to our sales department.. If you have any questions relating to the technical parameters of the object, or you need advice (with recommendations) directly on the site, or if you just need a professional measure by the specialist – the master is called. Charge is applied – in Kiev – 100 UAH, suburb - 200 UAH (within 20-35 km from Kiev). If the object is far from office (in Ukraine) – a visit of professional master is not a problem (for an additional charge of fuel). 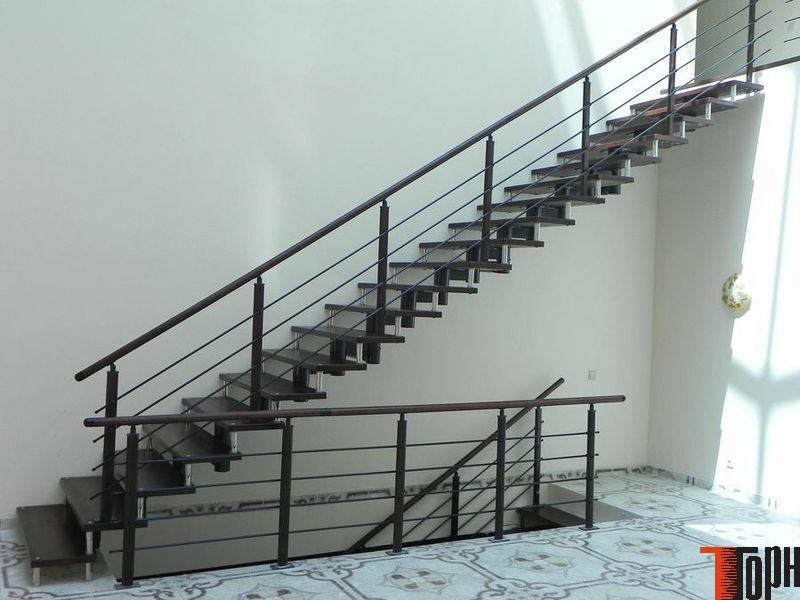 We offer the best prices for all required materials for the stairs (the frame, steps, fencing). Installation services – for an additional charge (to be agreed with the masters). In average in takes 25-30% of the estimate cost (depending on the complexity of the work and the different nuances in a particular object).